Every time Apple releases a new operating system, we pull together the most essential, in-depth, and up-to-date information about the Mac OS and create a new book that gives our readers access to it all in one place. 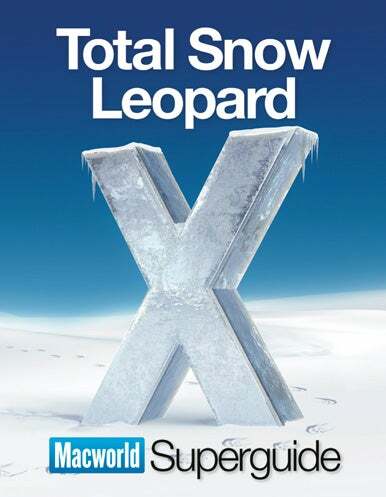 With Snow Leopard now out and rapidly gaining acceptance, it's time for us to release Total Snow Leopard . Following in the footsteps of our popular, everything-in-one-place guides to Mac OS X (Total OS X, Total Panther, Total Tiger, and Total Leopard), Total Snow Leopard is an information-packed 102-page book featuring just about everything you’ll need to know about Snow Leopard—all features, great and small. We’ve taken the best of Macworld’s coverage of Mac OS X and distilled it into this book, including contributions from such luminaries as Christopher Breen, Glenn Fleishman, Dan Frakes, Rob Griffiths, Joe Kissell, Ted Landau, Kirk McElhearn, Rich Mogull, Dan Moren, Jonathan Seff, Michael Scalisi, Derrick Story, Ben Waldie, and Sharon Zardetto. The book includes information to help you set up Snow Leopard smoothly and take advantage of its most important features. It’ll also help you master the Web with Safari 4, get e-mail with Exchange, keep your Snow Leopard Mac secure, and increase productivity with text substitutions and the Services menu. There’s a lot of stuff in Total Snow Leopard, to be sure. And it’s available in several different formats, so you can choose the one that works best for you. If you’re interested in a PDF (suitable for viewing in Preview or Adobe Reader), you can buy one and download it immediately for just $12.95. Or you can get it as a high-quality, full-color paperback book for $24.99. Don’t want to download the PDF? You can also get it mailed to you on CD-ROM for $12.95. And if you want to see more before you pony up your hard-earned cash, I completely understand. So we’ve created a 10MB downloadable sample from the book for you to check out, just to give you a taste. We think this book is a great resource for everyone who uses Snow Leopard. And as always, we look forward to your feedback, as well as suggestions for what e-books we should publish in the future. You can send both to ebooks (at) macworld dot com.